Wedding transportation has never been easier than with wedding shuttle buses provided by National Charter Bus Orlando. Our services entail smooth and streamlined transportation to keep you and your wedding guests happy. Everyone will arrive on-time and ready for your special day in Orlando! Give us a call at 407-274-9782 to talk with one of our rental experts about your wedding shuttle needs. National Charter Bus has serviced numerous wedding ceremonies across the country. From full-sized motorcoaches for the ceremony to minibuses for the bachelor or bachelorette party, we’ll provide top-notch transportation services to every wedding event. No matter the size of your wedding group, our network of charter buses will comfortably accommodate each of your guests. 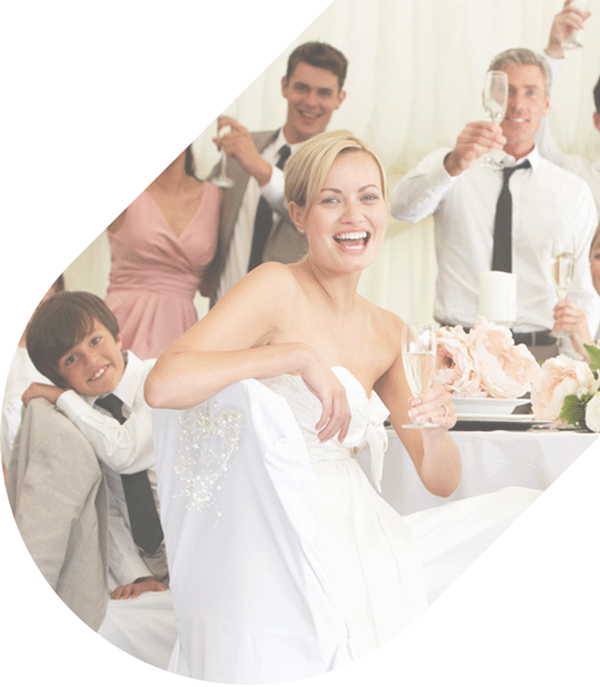 Trust National Charter Bus to transport your wedding guests safely and comfortably. Rather than struggling to find your venue or worrying about where everyone will park, your guests can travel to your wedding together in a private shuttle while a professional driver handles navigation. Connect your ceremony and reception space and use your shuttle to act as a designated driver after the night’s festivities have come to an end. 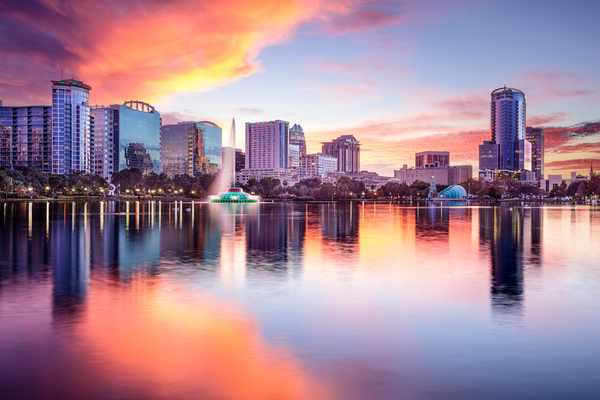 We can even help pick up out-of-town guests from the Orlando International Airport. While they travel, your guests can sit back and relax in reclining seats and enjoy additional amenities like WiFi, televisions with DVD players, plentiful legroom, and more. They won’t have to navigate unfamiliar roads while in town-- just leave that up to your driver. The buses in our extensive network of providers include sleek and modern models to match a beautifully-planned wedding ceremony. This includes all-white or all-black buses to keep with your elegant theme. When you choose your bus, you can also request additional amenities to enhance your guests’ experience, such as WiFi, plush seating, extra legroom, and auxiliary plug-ins. We’ll be sure everyone has an enjoyable travel experience to and from your ceremony, reception, or bachelorette party. Guests will be able to get the party started on the road, ensuring that they arrive to your ceremony and reception ready to celebrate. We can provide wedding shuttles for groups of all sizes. 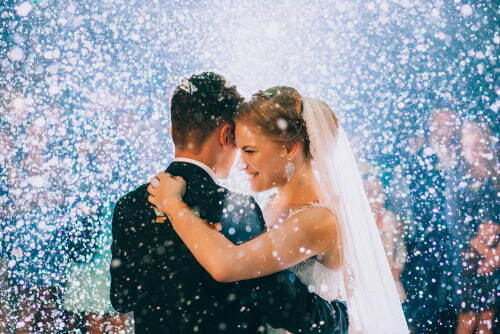 Whether you’re having a huge, lavish affair at The Crystal Ballroom or a more intimate ceremony at The Acre Orlando, National Charter Bus has access to the perfect shuttle for your needs. There are multiple models of 56-passenger full-sized motorcoaches in our network, so there’s one to meet every bride and groom’s needs. Couples having a smaller ceremony can also benefit from minibus shuttle transportation for their group of guests. National Charter Bus can provide transportation services to weddings across Orlando, including at Disney World and Universal Studios. If you’re getting married at an intimate local venue, we’ll ensure that guests are efficiently shuttled from your hotel to your ceremony and reception. If you’re tying the knot at a theme park, we’ll make sure that guests don’t end up lost in the endless roads within the parks. Whichever you choose, you can relax knowing that parking and all other transportation logistics are handled-- all you have to do is enjoy your big day. If you have further questions about our rental process, we’ll be happy to answer your inquiries. Our rental experts are available 24/7 to assist you throughout the rental process. We’ll pair you with the best bus for your needs or even help you build a custom fleet if your wedding ceremony will be a large-scale event. Don’t hesitate to give us a call at 407-274-9782 to get a personalized quote for your wedding shuttle!